Suzuki Intruder was launched in India in November 2017 while the Fuel Injection variant was launched in March 2018. Suzuki Motorcycles India, launched the Intruder in India in November 2017. The cruiser motorcycle drew inspiration from the Intruder 1200. It got off to a good start where sales were concerned, clocking 14,325 units from November 2017 to February 2018. 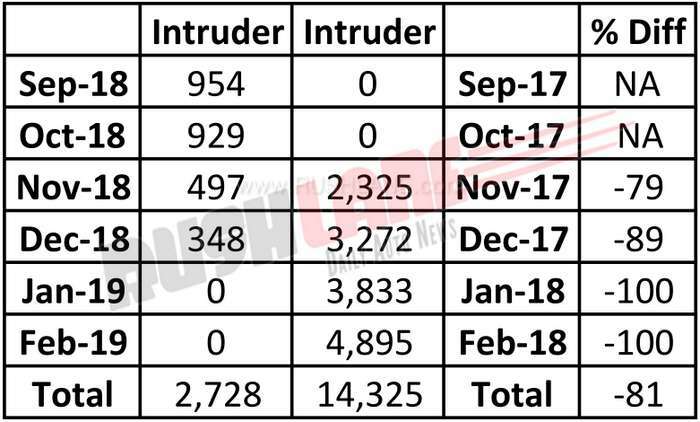 Sales of Suzuki Intruder, which stood at 2,325 units in November 2017 steadily increased to 3,272 units in December 2017 and upwards to 3,833 units in January 2018 while sales in February 2018 went up even further to 4,895 units. The past six months from September 2018 to February 2019 has been somewhat of a challenge where the Suzuki Intruder is concerned. Sales which had totaled 14,325 units in the 6 month period of 2017-18 went down to 2,728 units in the same 6 month period of 2018-19. Suzuki Intruder SP Edition was launched in Oct 2018. Sales which stood at four figures through the same period in 2017-18 dipped to three figures in the corresponding months of 2018-19. September and October 2018 saw sales at 954 units and 929 units respectively. Sales in November 2018 dipped 17 percent to 497 units as against 2,325 units sold in the same period of the previous year. Sales went down further in December 2018 with a percentage fall of 89 percent to 348 units as against sales of 3,272 units in the same month of the previous year. There has now been a 100 percent fall in sales in both January and February 2019, when zero units of the Suzuki Intruder were sold. Suzuki Intruder rivals Bajaj Avenger. Sales of the latter too has declined by a huge margin. Suzuki Intruder ticks all the right boxes where features and engine specifications are concerned. It is currently seen with features such as LED position lamps, fuel injection, a fully digital instrument cluster and LED tail lamp. It sports a single channel ABS system and a dual exhaust port while upgrades could include a full LED headlamp, revised instrument cluster and other visual accents. Suzuki Intruder is powered by the same engine seen on the Gixxer and Gixxer SF. This 155cc engine which currently offers 14.8 bhp power and 14 Nm torque mated to a 5 speed gearbox The Intruder which carries a price tag of Rs.1 lakh as on date for the standard version and of Rs.1.07 lakhs for the Fuel Injection variant. 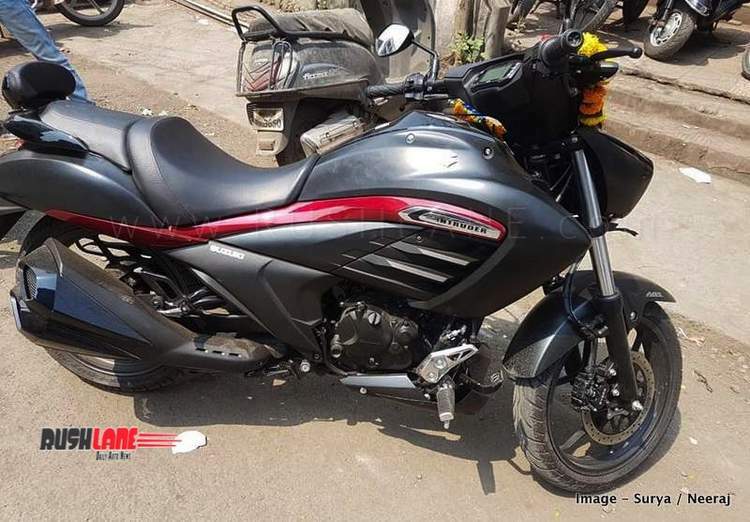 It is not yet clear if the motorcycle is discontinued from the market or is Suzuki has stopped production and planning to launch updated Intruder. Suzuki India’s website continues to feature the Intruder motorcycle. Dealers are not taking fresh orders. Existing stock is being cleared.